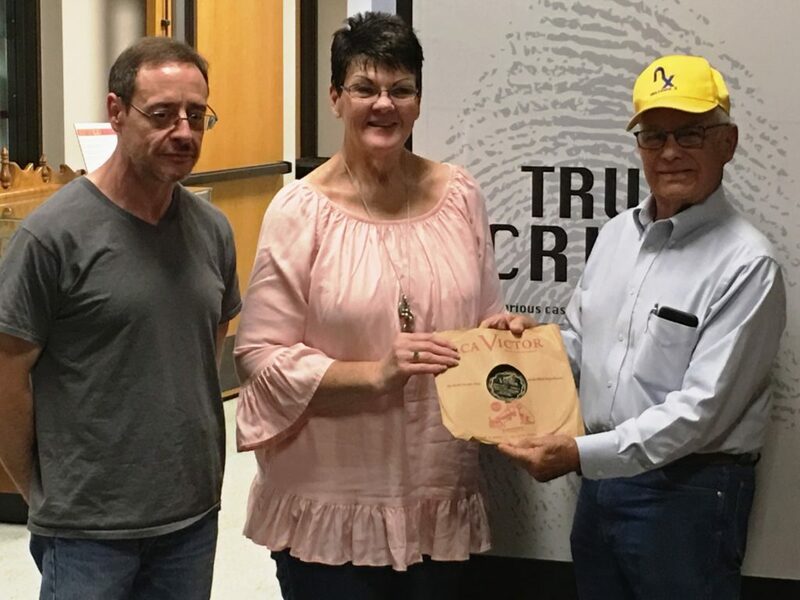 Todd Roberts, Finney County Historical Society collection manager, Johnetta Hebrlee, FCHS education coordinator, and Keith Downer show off the new 78-rpm record about the Fleagle gang which has been donated to the museum. On a day that marked the 90th anniversary of the Fleagle gang’s notorious 1928 Colorado bank robbery, the Finney County Historical Museum unveiled Wednesday a piece of Fleagle-related history that will go on display at the museum. The Fleagle Gang were infamous Finney County bank robbers who committed several robberies in the 1920s and killed at least four people. The gang’s exploits and demise were featured in a 78-rpm record, recorded in 1930 by singers Bud and Joe Billings. 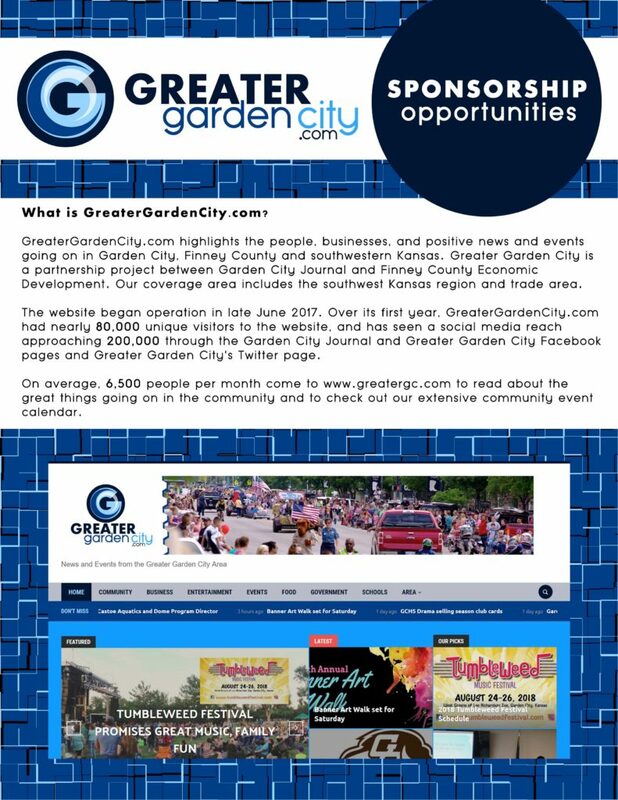 Keith Downer, a Garden City resident and member of the Finney County Historical Society board of directors, obtained the record from his cousin, who obtained it from a nephew. Downer and his relatives donated the record to the museum. The record, entitled “The Fate of the Fleagle Gang,” was written by Carson Robison and Andrew Jenkins, aka Frank Luther, and was released by RCA Victor Company of Camden, N.J., shortly after law enforcement officers shot and killed Jake Fleagle, last of the gang’s members, in Branson, Mo. Ralph Fleagle and two other gang members were arrested, tried and executed by hanging. Jake Fleagle escaped capture until his fatal encounter in Branson. 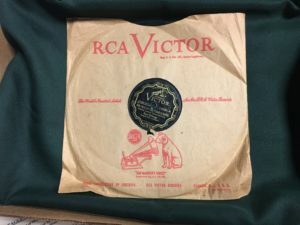 Once placed in a protective case for viewing, Steve Quakenbush, executive director of the Finney County Historical Society, said the 10-inch disk will be added to the exhibit. The presentation marked the 90th anniversary of the Fleagles’ Lamar, Colo., bank robbery. In 1928, the Fleagles held up the First National Bank of Lamar, Colo., after killing the bank president and the president’s son. According to the FCHS, the gang later murdered a teller taken hostage, as well as a Kansas doctor they abducted in order to treat a wounded accomplice, but a fingerprint left on a window of the doctor’s car linked them to the crime. That window also may be viewed in the exhibit, much to the delight of Quakenbush. 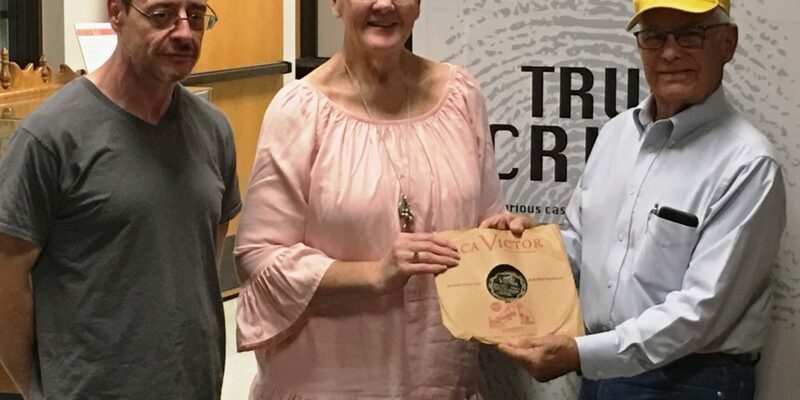 The record is now part of the museum’s current major exhibit, “True Crime, Solving Notorious Cases from Finney County’s History,” which opened in January. 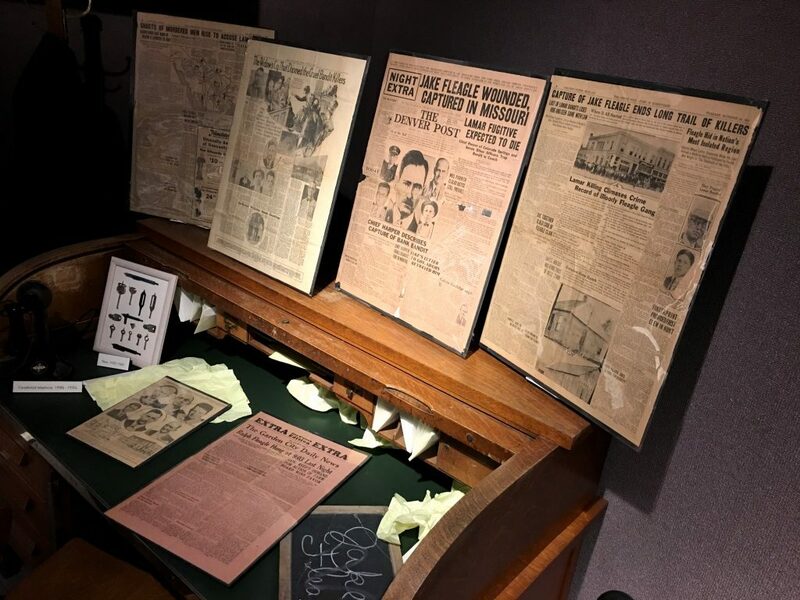 Quakenbush said the museum has seen thousands of visitors come through and view the 525-square foot exhibit, which tells the story of the Fleagle gang and the Clutter murders in Holcomb and law enforcement efforts to solve those crimes. The Finney County Historical Museum is located at 403 S. Fourth St. The museum is open from 1 to 5 p.m. daily. Summer hours begin Monday when the museum will be open from 10 a.m. to 5 p.m. Monday through Saturday, Sundays 1 to 5 p.m. Admission is free. A portion of the Fleagle display inside the “True Crime” exhibit at the Finney County Historical Museum.